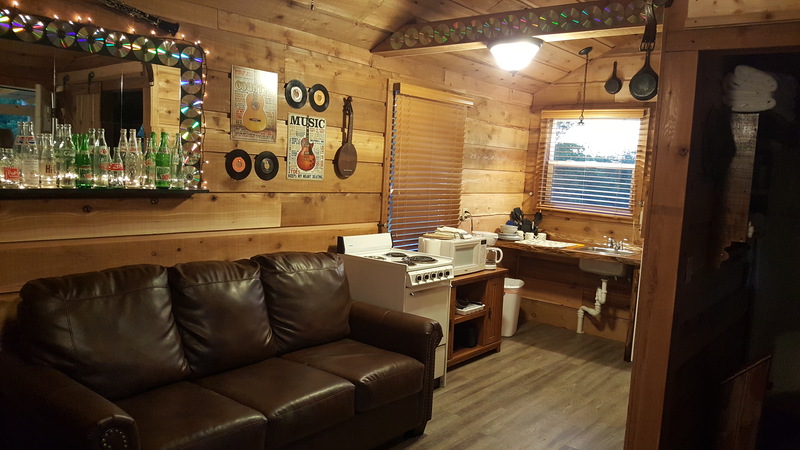 Here at Country Cabins in Chariton Iowa we have a cabin for every season and things to do year-round. 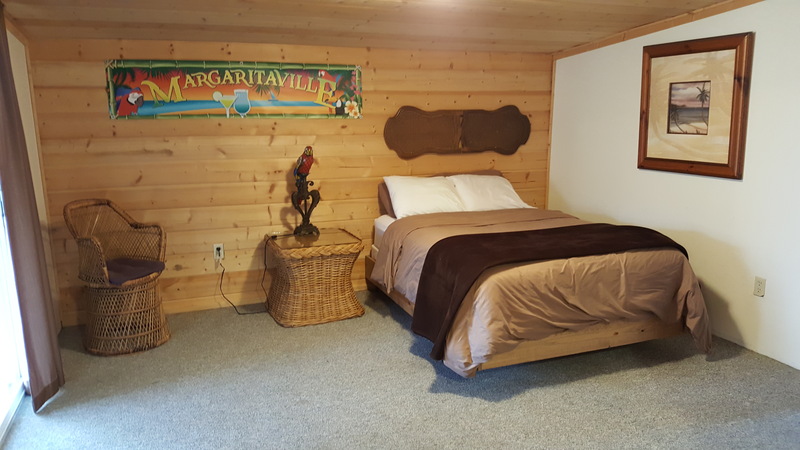 Whether you want to sit by a fireplace where it is nice and warm or go ice fishing in one of the 3 lakes that are located adjacent to our property there is something to see and do. We have miles of trails for walking and hiking and wildlife abounds with deer, turkey, bobcats, rabbit, squirrels and all kinds of birds that winter in Iowa. 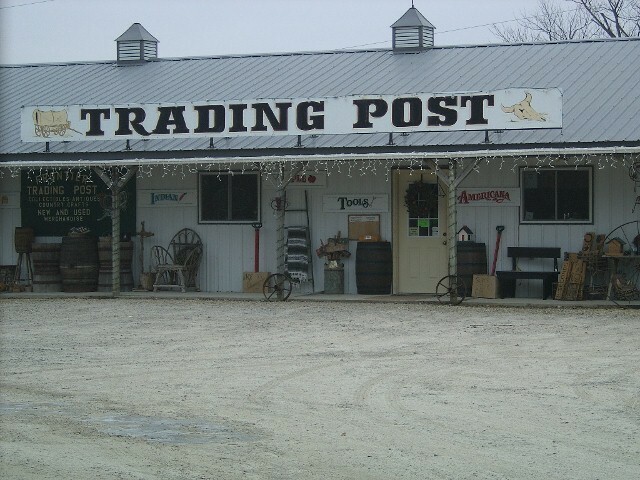 The Frontier Trading Post is right next door and they will open back up for the weekends the 3rd of February and full time the 1st of April. 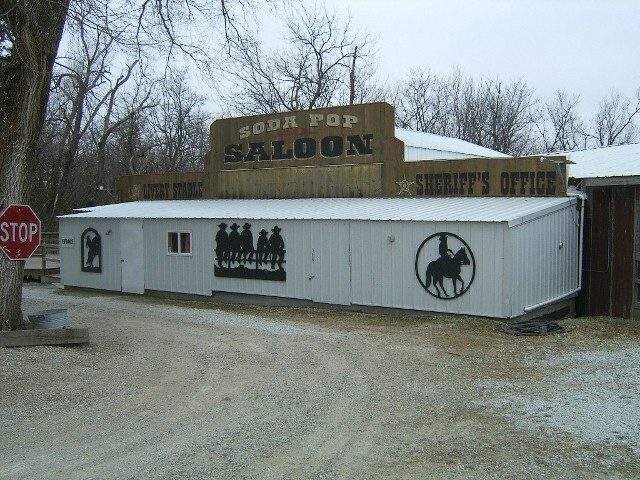 The Soda Pop Saloon and Hook, line and Sinker bait shop will also open back up April 1st. 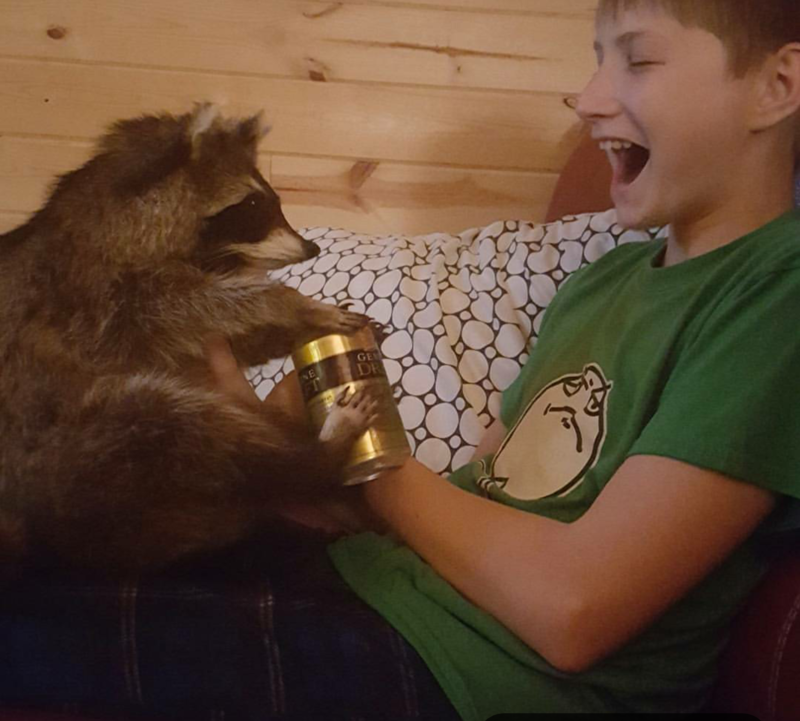 You can check out the activities on their website at www.frontiertradingpost.net. 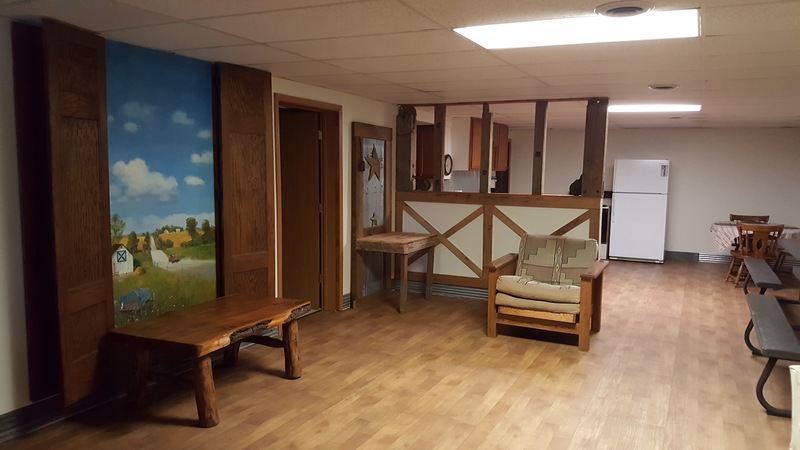 Each one of the cabins and suites is themed and you can choose from Harley, Country Western, Military, Margaritaville to Railroad and Soda Pop Saloon. We cater to families, construction crews, family and class reunions, weddings and also just nightly travelers and business clients. 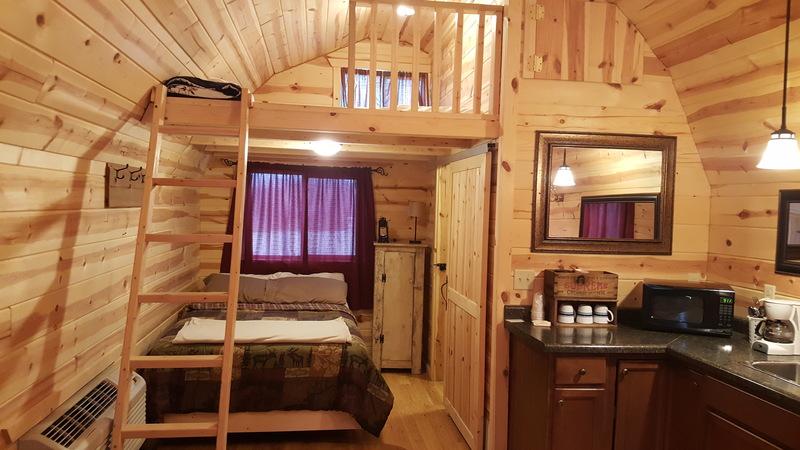 We offer anything from a standard single room with just two bed to kitchen suites with up to 3 bedrooms and 2 baths, full kitchens and up to 6 beds in our main lodge. 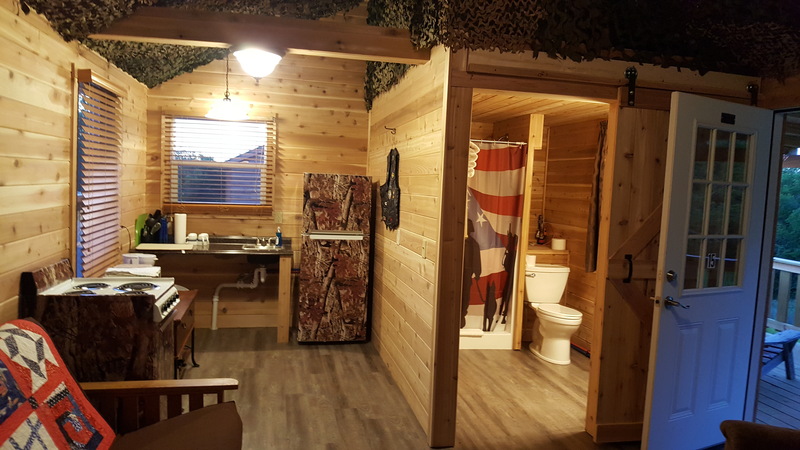 The smaller cabins have just one bed and a futon with a small kitchenette and the larger cabins have 3-4 beds, full kitchens and huge decks with outdoor grills and fire pits. We also have a few full-hookup RV and tent sites available. 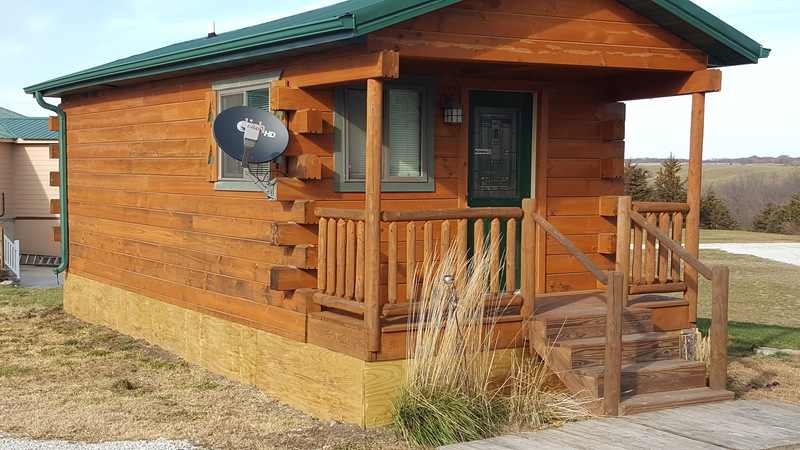 We have free wi-fi and Dish network in all rooms and cabins. We offer a 10% discount to all current and retired military members and to any living spouse of a former military member. 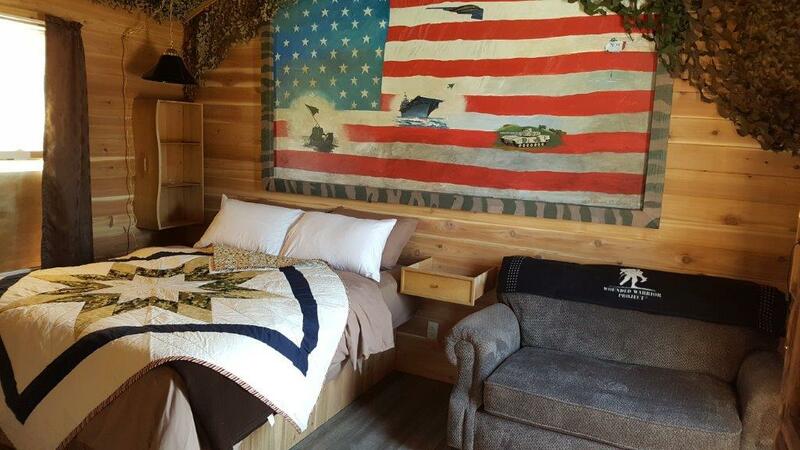 We also offer a FREE stay in the cabin or suite of your choice once per week to a military member or family. We appreciate the sacrifices our military has made for us and this is just a small token of our gratitude. We also offer a huge suite that doubles as a reception hall that will seat around 40 people. You can spend the night in the two bedroom site and for an additional charge hold your reception or event also. We have 25 acres and so there is plenty of room to roam and walk to the Trading Post, the State Park or down to Lake Ellis for fishing. 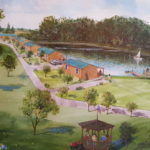 We are looking forward to the upcoming year and have plans to build two new ponds, outdoor shelter house, kids play area complete with an 18′ tipi and a new wedding barn or pavilion. Be sure to stop on by for a personal tour when you are in the area and we will do our best to accommodate your event, trip or weekend away for this year. Thanks and safe travels to everyone. ← BEST PLACE TO SPEND THE HOLIDAYS IN IOWA!